April 26, 2019  In 2013, China announced the vast global network of infrastructure and investment projects. The plan will be carried out with Chinese loans and labor. The U.S. is wary of China's motives. April 26, 2019  Chinese President Xi Jinping is hosting world leaders in a forum on China's Belt and Road Initiative. Also, a look at a district that voted for Obama and then Trump. April 19, 2019  The special counsel's report has left many questions unanswered. So where do voters and Congress go from here? The report affirms numerous news media accounts of conduct within the White House. April 18, 2019  Attorney General William Barr told the nation that while Russians did seek to disrupt the 2016 election, they did it on their own. The 448-page redacted Mueller report was released on Thursday. April 18, 2019  Attorney General William Barr is expected to hold a press conference at the Department of Justice just ahead of the release of a redacted version of Special Counsel Robert Mueller's report. April 15, 2019  Trump administration considers sending migrants to sanctuary cities. Rep. Omar says she's seen a spike in death threats since Trump tweeted a video of her. HBO begins Game of Thrones final season. April 3, 2019  The border remains open and the rate of migrant apprehensions isn't slowing. Chicago elects its first African-American female mayor. Democratic presidential candidates release fundraising details. April 2, 2019  A whistleblower claims White House overturned 25 denied security clearances. How big a hit would the U.S. economy take if the southern border closes? And, the latest U.S. and Turkey dispute. April 2, 2019  Steve Inskeep speaks with superstar pianist Lang Lang about his new album, Piano Book, a reexamination of the classical music repertory he learned as child. April 1, 2019  The U.S. threatens to withhold aid to countries responsible for migrants trying to cross into the U.S. Former Vice President Biden faces allegations of misconduct. And, the Census begins in a year. 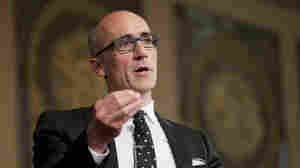 April 1, 2019  Arthur Brooks says that even if you're sure someone's lying, calling that person a liar won't help your case. His book describes "how decent people can save America from the culture of contempt."